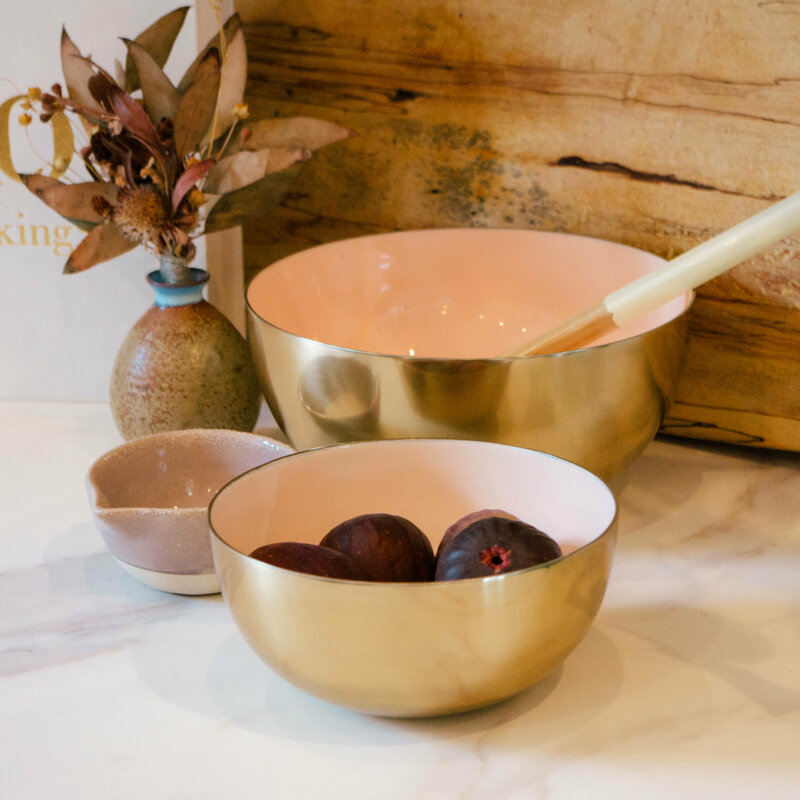 This listing is for the smaller version of our pink and gold enameled mixing bowl. 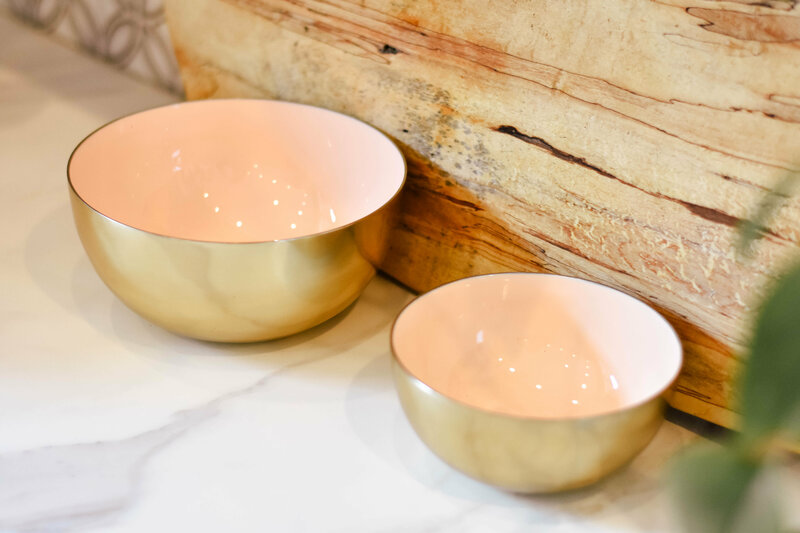 These adorable bowls will brighten up your baking and are the perfect size for whipping up smaller recipes. 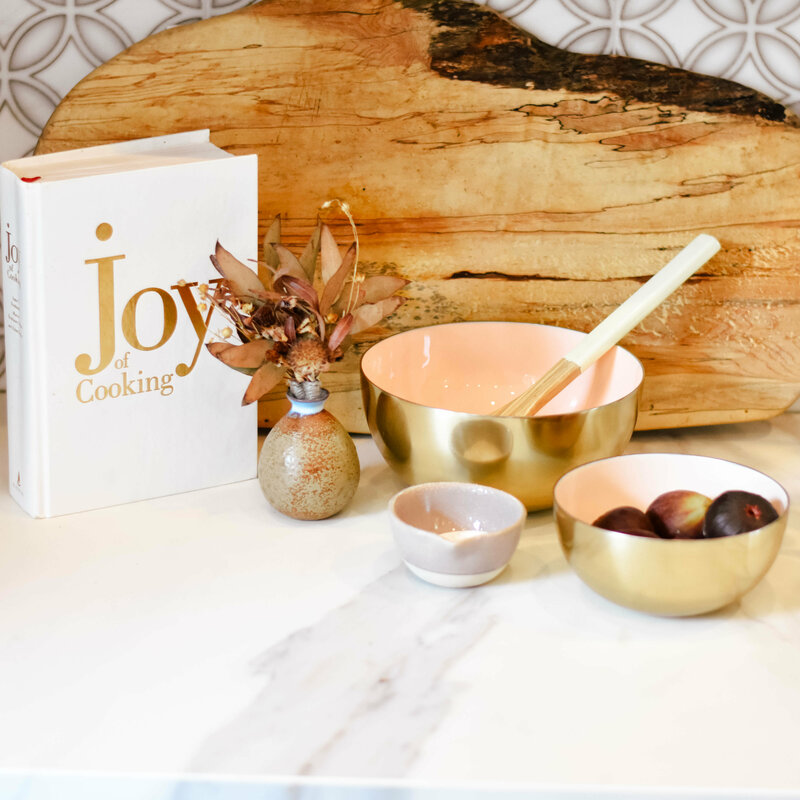 Find the larger bowl also in our "Kitchen" section.